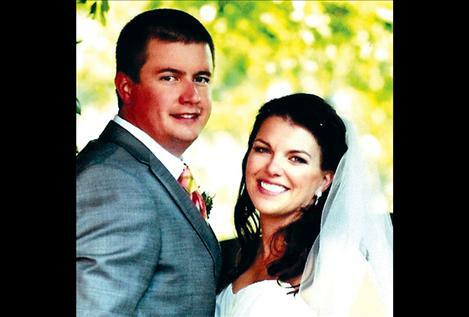 HEALDSBURG, CALIF. — Amy Croft and Jason Foust were married Aug. 10 in Healdsburg, Calif. The ceremony and dinner were held outdoors overlooking beautiful vineyards in the valley. Amy’s parents are Tom and Sarah Igler of Severna Park, Md. and Jeff and Jean Croft of Maple Valley, Wash. Jason’s parents are Bill and Barb Foust of Ronan. Amy graduated from Penn State University with a Bachelor of Science in Wildlife and Fisheries Science in 2003 and from Johns Hopkins University in 2010 with a Master of Science in Environmental Science and Policy and is working as a Wildlife Biologist/Environmental Analyst for North State Resources in Redding, Calif.
Jason graduated from Montana Tech with a Bachelor of Science in Environmental Engineering in 2002 and is working as an Engineer for the Bureau of Reclamation in Manton, Calif.
After honeymooning in Kauai, they are at home in Cottonwood, Calif., enjoying life with their new puppy, Brewer.